Induino is a clone of Arduino which is made in India. 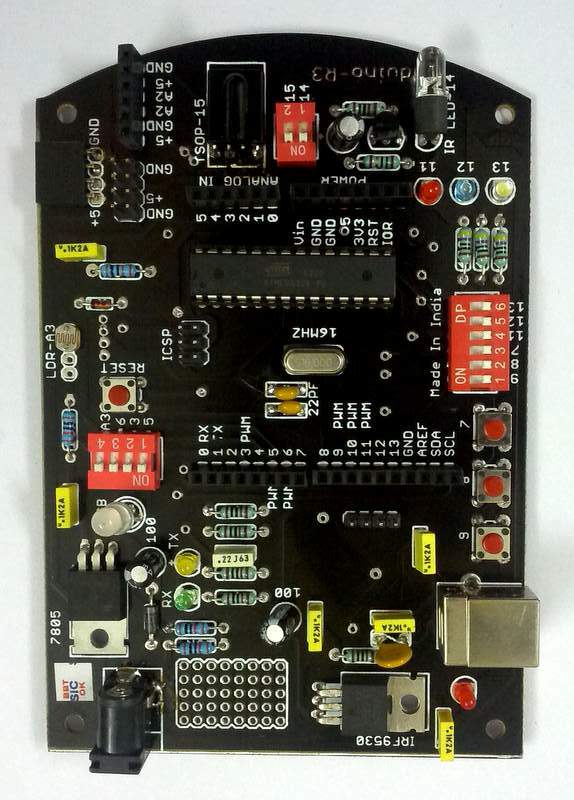 It is an appropriate board for anyone to get started with baremetal programming, be it a programmer(userland) who would like to get the hang of how electronic/microcontroller works or an electronic guy who wants to make an inroad in programming arena. Induino was assembled using thru-hole technology(thru-hole mounted), even though one of the chip namely FTDI (Future technology Devices international) is a SMD chip(which requires quite a bit of soldering expertise). More of this here.